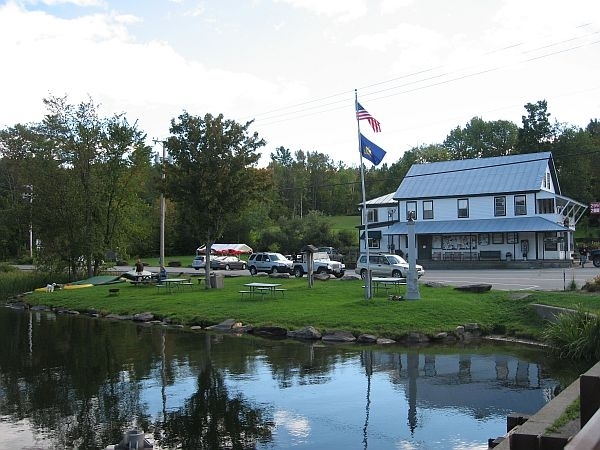 It would be hard to find a prettier setting for a business than the spot occupied by the Barnard General Store. The store’s wraparound porch overlooks Silver Lake, a popular summer recreation spot. Since 1832, it has catered to tourists and locals, but that tradition will come to an end when the store closes its doors next week. Inside it’s a classic country store, with the worn hardwood floor, a woodstove, crowded rows filled with all manner of goods, and a lunch counter with a line of chrome trimmed stools. On a quiet afternoon this week a couple of kids just out of school for the day drifted in for chocolate milkshakes. As the coolers hummed away behind the deli counter, the store’s long time owners sat at a nearby table, sipping coffee and reflecting on their decision to close. "It really has to do with how close to the edge we’ve been for a long time," Carolyn DiCicco said. "Irene hit and our fall business was totally lost. Then to immediately be followed by a winter with no snow. It just hurt us so much." 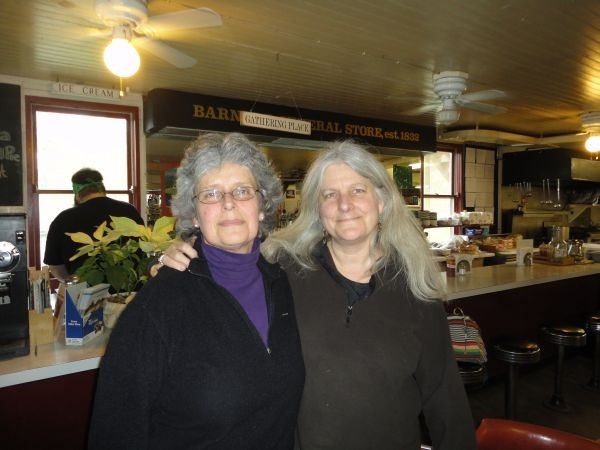 DiCicco and her partner Kim Furlong are the owners of the Barnard General Store. Furlong said it’s a sad feeling to be the ones to lock the doors after 180 years of continuous operation. They’ve tried hard to keep the business running. At one point they sold the building and the land it’s on just to stay afloat. Furlong said they’re leaving with little to show materially for 18 years of 70 hour weeks. "We walk away with nothing but the joy and pleasure of having some incredible experiences in our life here at this store," Furlong said. "There’s no financial gain. But as far as good karma and a lot of love and great memories, we couldn’t have asked for more." Dennis Bathory-Kitsz, the past director of the Vermont Alliance of Independent Country Stores and author of Country Stores of Vermont: A History and Guide, said that in the case of Barnard, the loss is really dramatic. "Next to Silver Lake and that beautiful setting there, it was a great crossing place all summer long," Bathory-Kitsz said. "The problem is it just can’t survive in the winter without a very vibrant local village culture." In the days before supermarkets, door to door mail delivery, highways and the internet, people went to the village store to shop, pick up mail and socialize. Modern life has changed all that. Bathory-Kitsz says the country store fits comfortably into our romantic image of rural Vermont, but not so much into our day to day lives. "The problem for country store owners is that they’re not mythology, they’re the real thing," Bathory-Kitsz said. "They need real customers. They have to be a real and vibrant part of the community." Bathory-Kitsz says the number of village stores in Vermont has held its own in recent years. The Barnard Country Store managed to survive thanks to business from out of towners. But owner Kim Furlong says the store needs local support. "In all honesty, I think that the reality of keeping it local, keeping money moving through your community isn’t really understood," Furlong said. "That $5 they spend is so important. It doesn’t have to be $50, it doesn’t have to be $100. That $5 goes a long way." Until recently, the owners had hoped someone would buy the business from them, but that fell through. An earlier plan to create a non-profit to take over the store never materialized, either. Furlong and DiCicco hope that idea will be revived and that someday the store can reopen. For now, though, the 180-year history of the Barnard General Store will end next Tuesday.